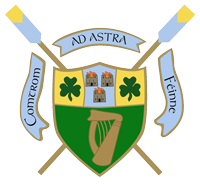 Six UCDBC members were selected to represent Ireland at this year’s Home Internationals in Nottingham, on the back of their performances at the squad trials earlier in the year. 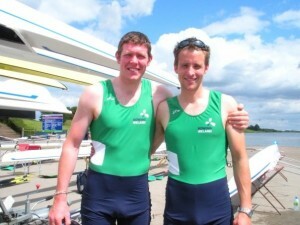 Anthony English paired up with Justin Ryan (Skibbereen) in the Lwt 2- and finished 2nd to Scotland. The Hwt 2- of Richard Skelly and Stuart King (Neptune) finished in 3rd, with 1.5 seconds separating them from England in 1st. The U23 4- of Finbar Manning, Dave Neale, Dylan Finnerty and Simon Craven was an all UCD affair and finished in 3rd, 6 seconds behind Wales in 1st. The small boats came together for the 8+ which was also coxed by UCDBC member Jennie Lynch, but again finished in 3rd place, 2 lengths behind England in 1st. Full results from the regatta are available here.